Welcome to Our 61st Year Serving Children! TLC is 61 years old in 2017. We are proud to enter the new year with nearly-full to full classrooms, a thriving new toddler classroom, and children, teachers, and therapists excited to see what the new year brings. Our Executive Director, Matt, offers ten ways you can help TLC in 2017 over on the TLC blog. Hop over to see how you can help us lay the groundwork for another sixty years serving the Boulder County community. Read on to learn how to recognize and use the Five Love Languages for Children in your family, and plan to dine with us at Chipotle on February 28th in support of our programs. We hope your 2017 is full of love and laughter! Does your child respond positively to hugs, gifts, or verbal praise? Learn how to identify your child's love language and use it effectively in daily activities. 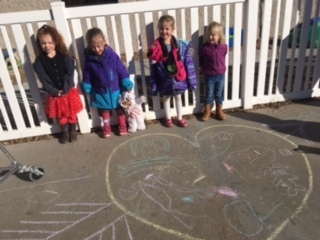 Parents of TLC students and clients are welcome to join us for a Parent Toolkit Night on February 23rd from 4:30 - 5:30 covering the five love languages for children, where we will spend an hour providing new tools for your parenting tool kit! We will have activities for you to learn how to re-phrase statements in a positive and loving way. Please come with your questions - there will be a special drawing for parents in attendance! Free childcare is available for children eight weeks to six years old, but please RSVP so we can staff accordingly. Let us know you're coming by calling (303)776-7417 or stopping by the front desk. TLC is partnering with Chiptole (at 1100 Ken Pratt Blvd.) on February 28th to raise money for TLC programming. 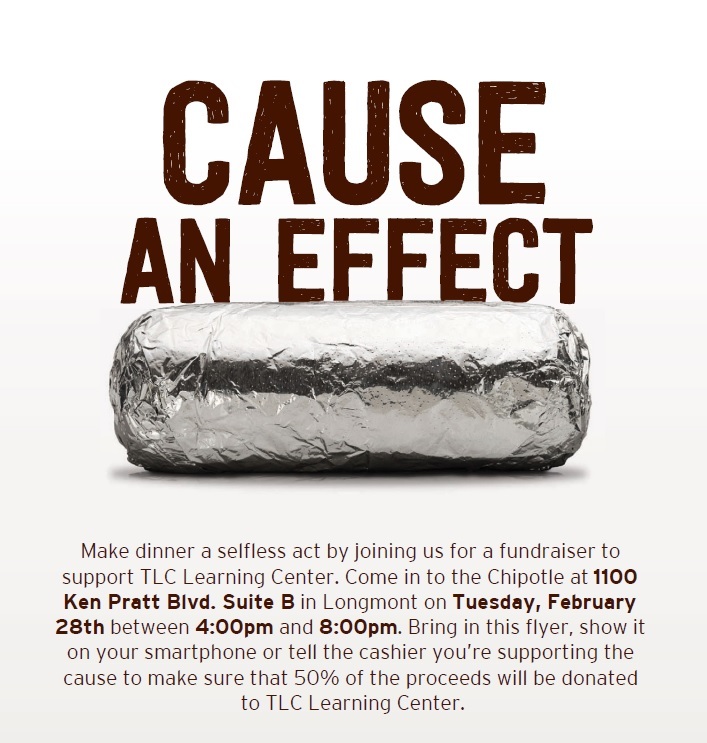 Tell your cashier you're there for TLC between 4 and 8:00 PM and 50% of the proceeds will go to TLC. 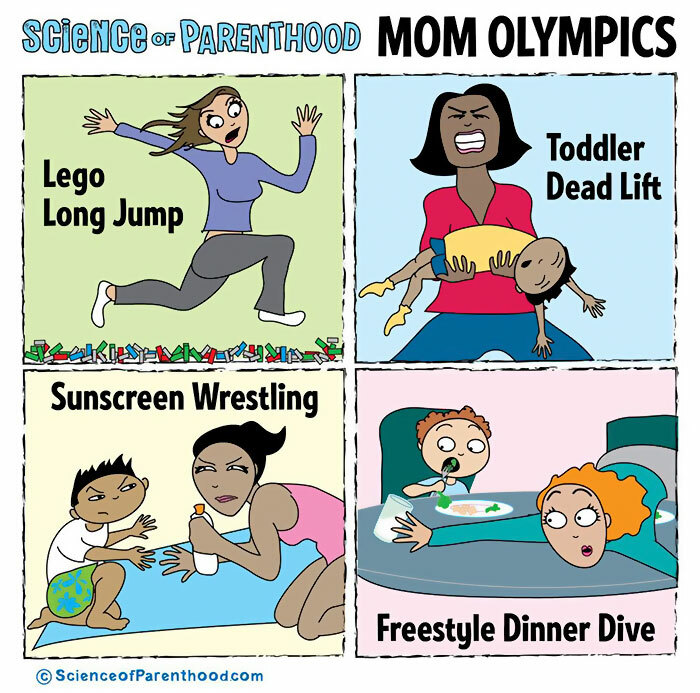 Because sometimes we just have to laugh! Have a great month and we'll see you again in March.